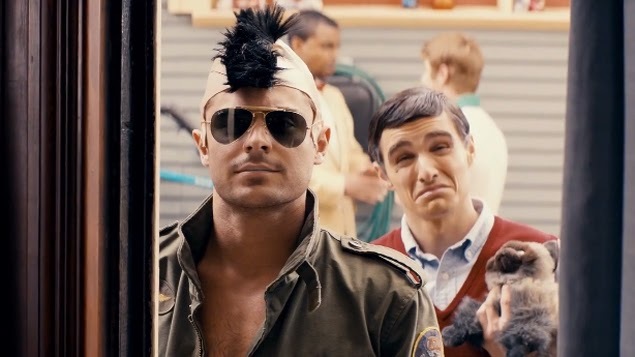 I'm going to be seeing this film called Bad Neighbours just for Dave Franco's impersonation of Robert De Niro in Meet the Parents. I hope this is a good solid hour of the film but I reckon that might be optimistic. You violated the circle of trust Focker! Check out his little Jinxy. That looks like the best party in the world. If this picture alone doesn't have you sniggering then check out the trailer. It's got a baby dressed as Heisenberg and eating 'blue meth', not to mention an unfortunate incident with a condom. Seth Rogen fans also might enjoy the stoner getting smacked around by misplaced airbags. The brilliant Rose Byrne is also in it so even if you can't stand Zac Efron, there must be something attractive about this film.